Forget bargain hunt on the TV where contestants go head to head to make a profit out of stuff they buy at antiques fares as you can go on your own real live bargain hunt at Posh Bingo to win a £1k cash prize. The £1k bargain hunt game at Posh Bingo really could see you hitting the January sales on them, as there are still lots of great offers to be had in our high street shops. For your info the bargain hunt will come out to plat at Posh on Sunday 29th Jan (which is only a few days away now) and your cards into it will cost just 5p each to purchase – so this is a bargain ticket price game to boot. Not only are there cash prizes up for grabs for the 1 line, 2 lines and full house, but you could even win a slice of £1,000 for getting that usually dreaded 1tg or 2tg. Now that is what you call a game where you have loads of chances to win and here are the finer payout details you may be interested in. Plus everyone who gets 1tg on the bargain hunt will share £100 and everyone who gets 2tg will also share £100 cash. You will find the bargain hunt game located under the (specials tab) from the lobby at Posh Bingo and you can log onto their site and pre-purchase your tickets as from now. So even if you cannot be online this Sunday night you do not have to miss out on playing this super bargain basement game. If you have not yet tried out Posh we can tell you that they welcome you with a 200% cash match first deposit bonus, plus they hand out a 50% bonus on all subsequent deposits made. 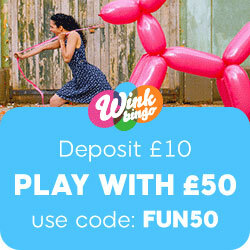 They are also a place where you can enjoy free bingo games every single day of the week which brings you the chance to win over £350.00 worth of bonus cash funds. This means you can play bingo with Posh each and every day whether you want to fund your account or not. This entry was posted in Bingo Blog and tagged Posh Bingo on January 25, 2012 by Emma. Coasty Bingo are hopefully kicking of January the way the mean to go on throughout the rest of the year, because up for grabs this month is a superb holiday for two people to the Caribbean island of Jamaica! In truth we have had quite a mild winter so far in the UK, but it has become freezing cold over the past few day which makes jetting off somewhere nice and hot even more appealing. Well if you do fancy some winter sun, Costa Bingo are bringing you the chance to win a super tip to Jamaica and what is even better – you could win this amazing holiday for free as well! Yes we did say for free and here is how you could make it happen. Up until 24th Jan you will pick up points from playing at Costa and it is these points will can be turned into free cards for you. Each time you collect 1,000 it will equal 1 free card and these all important points can be picked up as follows. As you can see few wins on the special patter or number 1 could give you quite a few free cards for their super (win a holiday to Jamaica) game. And of course you will clock up other points as you simply play on any of their games. Check out just what the Jamaican prize packaged includes! Could you want for anything more? We think not. The Jamaican holiday game will take place on Saturday night 28th Jan at Costa Bingo and you of course also have the option of purchasing cards yourself, these will cost £5 each. This entry was posted in Bingo Blog and tagged Costa Bingo on January 19, 2012 by Emma.